A PUSH OF A BUTTON CAN SAVE YOUR LIFE! Our top product – The Guide Light is the most powerful cost – effective way of keeping you and your loved ones safe and making your house noticeable during an emergency. 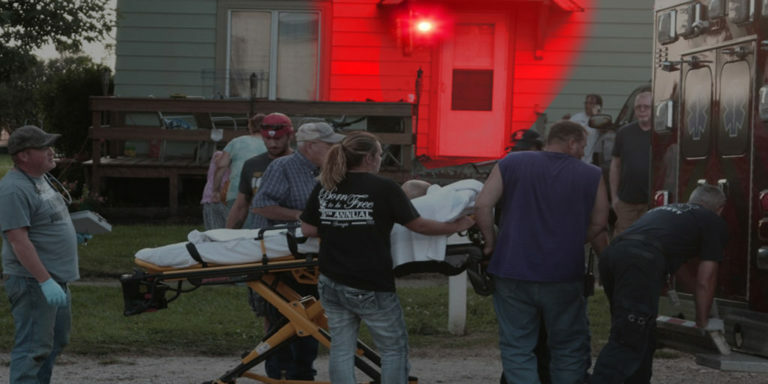 Emergencies can happen at any time – they are not reserved for a certain class of people – medical emergencies do touch our lives either personally or via a family member, friend or neighbor. A heart attack, stroke, ill child or any type of emergency can strike at any time so why not take every measure possible to protect your most valuable asset — your personal well-being and that of your loved ones? Guide Light Saving a LifeReal life scenario of Guide Light saving a life! How does Guide Light work? The Guide Light bulb is installed in an outside light socket. In the event of an emergency, you place a call to 911 or your neighbor. 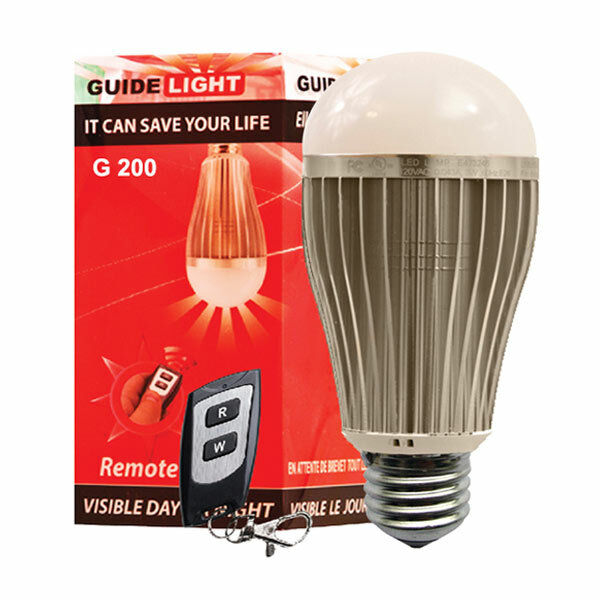 The individual then activates the Guide Light via a remote and the outside bulb turns from an ordinary white light to a flashing red life saving light. The flashing light signals to first responders and neighbours that someone in that home is in need of emergency assistance. Guide Light uses 220/110 volt, it is only 3 watts and is ULC and UL certified. The remote which is FCC certified is set to send signals of up to 50 meters in distance without any obstacles and can turn the light ON or OFF within that range. When the (W) button on the remote is pushed it will transmit a signal to the receiver inside the light to turn the light ON or OFF and when the (R) button is pushed it will send a signal to change the white light into a red flashing emergency light. After help arrives the blinking light can be turned off simply by using the remote. Guide Light is the only light bulb in the market today that is capable of switching from an ordinary light to an emergency light. Guide Light is by far is the most effective way of bringing help right to your door in an emergency. Guide Light is the most powerful cost effective way of keeping you and your loved ones safe while making your house noticeable during an emergency. We want every family in North America to own a Guide Light! We have taken measures to develop it at a reasonable price. Guide Light is a gift of life and peace of mind. Purchase one today! Still not sure? Hear it from our customers that have used Guide Light and visit the Video and Testimonial pages.